On the large spectrum of the medium range, Nevermore is nothing truly special to behold. His features are relatively plain and most may lose him within a crowd of many. Masculinity is prominent, however, with broad features. He bears a broad muzzle and wide shoulders; muscles rippling beneath his brown hide. Strength is one of his greatest features though he often chooses not to use it against others of his species. Brown coat is tight against his flesh, though oddly soft to the touch despite his overall coarse appearance. Thick mane is beginning grow along the furthest reaches of his lower chest. It paints him in rich chocolate browns ranging from the darkest of browns along his crown and back of his neck, to a fine milk chocolate along his chest; his tail tuft exhibiting a similar shading. Undersides and muzzle are a lighter shade of brown. Though his appearance is very forgettable to most, what leaves a lasting reminder are his eyes. Brooding eyes offer the steel blue of stormy skies; as though an internal struggle is constantly battling within him. 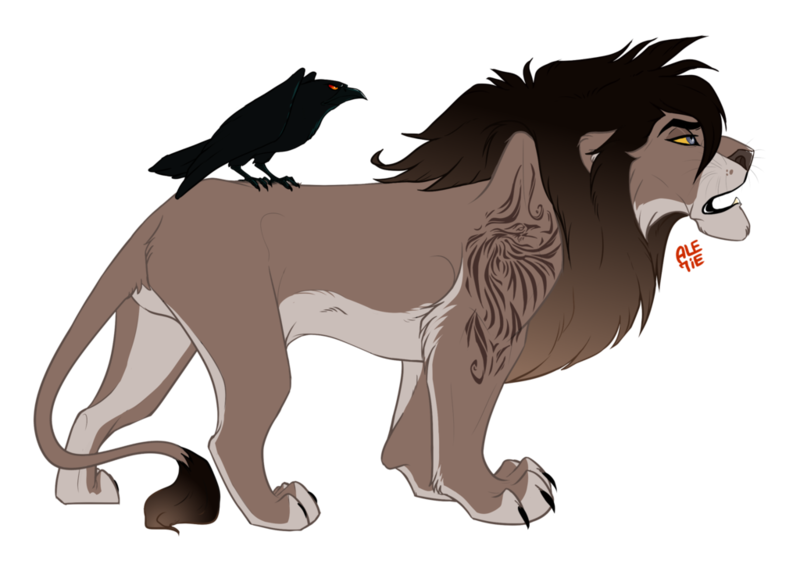 Note: Nevermore has a large scarring that covers his right forearm from shoulder to elbow; a tribal etching of his raven companion Raban courtesy of Tiki. Nevermore does not like to talk about his past much. Any details about his family or heritage are rarely spoken of as he prefers to leave the past exactly where it is. Has a Raven as a Companion Animal who is called Raban. Email: Send Nevermore an email. Private Message: Send Nevermore a private message. [ CHARACTER ] Appearance: On the large spectrum of the medium range, Nevermore is nothing truly special to behold. His features are relatively plain and most may lose him within a crowd of many. Masculinity is prominent, however, with broad features. He bears a broad muzzle and wide shoulders; muscles rippling beneath his brown hide. Strength is one of his greatest features though he often chooses not to use it against others of his species. Brown coat is tight against his flesh, though oddly soft to the touch despite his overall coarse appearance. Thick mane is beginning grow along the furthest reaches of his lower chest. It paints him in rich chocolate browns ranging from the darkest of browns along his crown and back of his neck, to a fine milk chocolate along his chest; his tail tuft exhibiting a similar shading. Undersides and muzzle are a lighter shade of brown. Though his appearance is very forgettable to most, what leaves a lasting reminder are his eyes. Brooding eyes offer the steel blue of stormy skies; as though an internal struggle is constantly battling within him. [ CHARACTER ] History: Nevermore does not like to talk about his past much. Any details about his family or heritage are rarely spoken of as he prefers to leave the past exactly where it is.